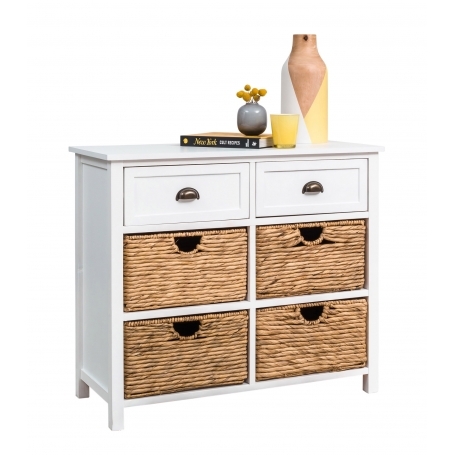 This stylish white wooden cabinet is ideal for use in the bedroom or living area. The two top drawers are wooden with antique style handles. The four bottom drawers are hyacinth baskets.